Financial report shows that Falcom recruited three new employees this year, making a total of 57 employees. It is slowly but surely expanding. Do we know the role of each employee? I mean, you can always read the credit of the games. I heard that due to how small the studio is, each employee often takes up multiple rolls. Like programmers writing dialogue or something. I read that the total head count has increased by 11 since 2016. Yeah, with that context it does seem like a continuing increase. Always ambivalent from the view of the customer, on one hand it's great if there are more people working there, but on the other hand, it also increases their costs and raises their financial expectations. That's a tiny expansion considering the demands of modern game making. How does that number compare to other developers making games of similar scope? 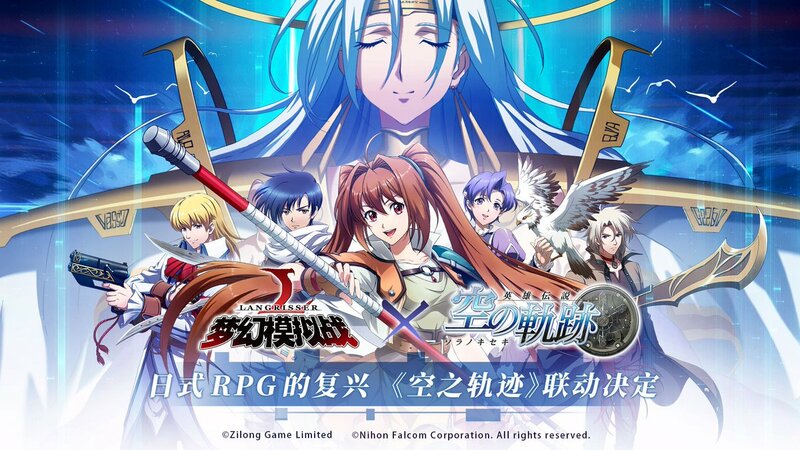 Let's be real, Falcom games are hardly modern. It doesn't really matter. The demands for making games in terms of manpower and budget go up across the board. It even applies to indies. I don't see Trails of Cold Steel 3, for example, much more demanding in manpower than Trails of Cold Steel 2. They are basically still making PS3 games, except on a platform easier to develop than PS3, and they don't need to cram the game into a handheld either. Cullen has worked on this for quite some time, but the final result is amazing. No, but note that the employee count includes administration and other functions required to keep a business running. What should we use as a headline picture for the thread? I wouldn't worry on their costs and financial expectations, Falcom always has been quite conservative on that front and they still are. On other hand Kondo has spoken in the past that they have been outsourcing more and more development so they can keep p with modern standards. I happen to have finished Ys8 just a few hours ago and once again was reminded the staaf credit basically credited only 12 people or so working on the game from a technical stand point. There definitely is room for improvement, which they have done a lot with recent titles bar animations. Oh and one more thing re: their financials is that the financial reports keep increasing, it is starting to make me question when they will plateau. Whoops, I checked Falcom's Twitter page, and I think I saw a spoiler for the second half of the Cold Steel arc that hadn't appeared in advertising before. They retweeted a fluff art piece of Thors students wearing suits and fancy dresses. One of the depicted characters is not like the others. Emma is headpatting a dark-skinned girl with cat ears. I assume that's Celine. At least the twist looks like something that gets played for comedy and fan service and not like something that's used for serious dramatic effect. Still, if you want to go in as blind as possible, you may want to avoid following Falcom's account for a few days (although if that's what you want, you probably haven't been following it to begin with). It's cute they slap an enormous "KEEP OUT - HUGE SPOILERS" on a cover illustration which is a spoiler in itself. Yeah that's one spoiler even I failed to avoid, I blame untagged screenshots of the game popping up on my Twitter timeline. PSA: Falcom tweeted the cover of a CS IV art book. It features an uncropped version of the image I mentioned above, with additional, seemingly bigger spoilers now visible in the previously unseen areas. Stay away if that's not something you wish to see. A Korean fan even replied asking Falcom to keep non-Japanese speaking players in mind and spoilers in check. It's a difficult situation. Impossible for falcom given the many western fans also waiting for 3+4 lol. Do we have a date for CS1 PS4? Keep in mind this is only a tentative date, since we haven't seen a proper press release from XSEED. So according to kondo kiseki now reaches a pause...It will make wonders to catch up for western localizations (crossbell aside imho). It will be interesting to see the platform for next kiseki, ps5? Crossgen ps4? Does they ever reach the heights of ao? Does letcher shine in them? He was really funny in crossbell. We don't know when the next Kiseki game is scheduled nor when a PlayStation 5 would be released, so that's just idle speculation. after all the build-up Lechter was a major letdown. Thanks! I hope it’s true, I can’t wait to play it again with some of the PC improvements. 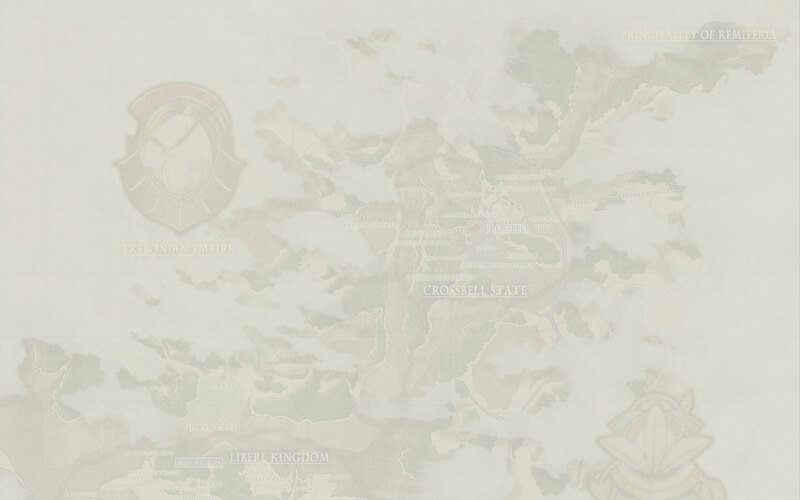 Does anyone have a good explanation why trailsofcoldsteel.com has been using a map of the Crossbell State, featuring localized names for locations that haven't been seen or mentioned in any of the officially released games, as the background image since August 2016 (August 8 snapshot without the map, August 30 snapshot with the map)? The only Erebonian areas marked on it are Garrelia, Hamel, and Parm. For comparison, here's another version of the map the background image appears to be ultimately based on. 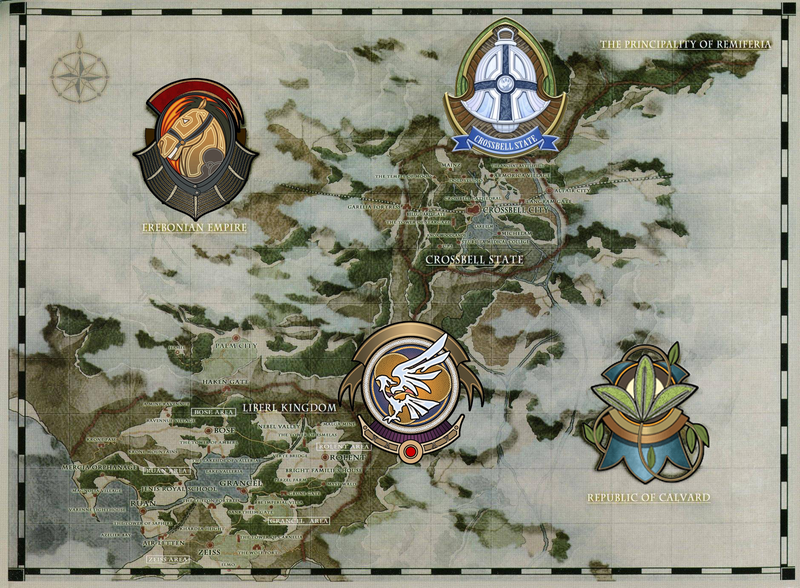 As you can see, the map on trailsofcoldsteel.com features tweaked English names: Michelam -> Mishelam, C.P.S -> Crossbell Police Academy, The Temple of Moon -> Moon Temple, The Tower of Stargaze -> Stargazers' Tower. I assume the former are Falcom's, and the latter are XSEED's. zomg crossbell released in 2016 and nobody told us! Maybe they want to throw the fan localization team a bone and help them with the names a bit. XSEED is so intent on never localizing Crossbell that they've already localized terms they shouldn't have had any need for so far. I didn't say that I considered the image to be a tease either, did I? I found out the image's approximate uploading time and made sure to point it out. It's been two and a half years with no follow-up. It couldn't have been a tease. Even if Crossbell localizations get announced in the coming year, this still will not have been a tease for them. 1. 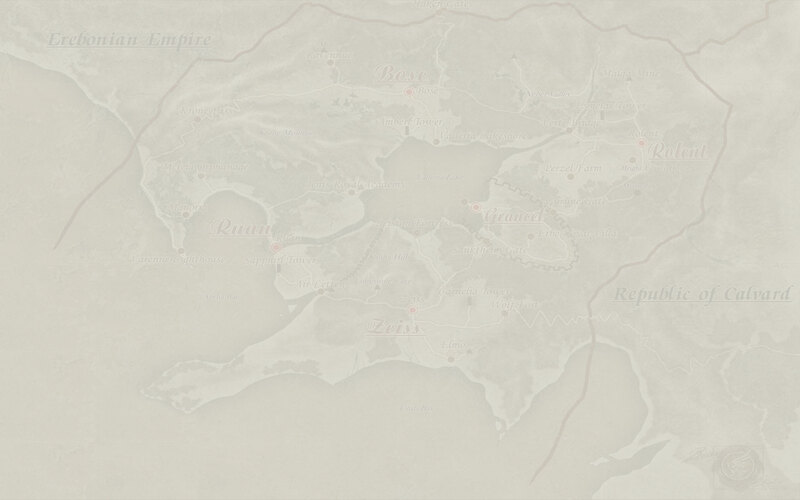 The site of the Liberl arc sensibly uses a map of Liberl as the background image. 2. The site of the Erebonia arc uses a map of the Crossbell State instead of a map of eastern Erebonia that you'd expect to see there. 3. The map in question features names that aren't used anywhere in the localized games. Why did XSEED, who could have used a map of eastern Erebonia where the games the site is supposed to advertise actually take place in, choose to take a map of a different country and go through the trouble of giving the toponyms an editing pass, when it wasn't a tease (and I agree that it wasn't a tease)? It shouldn't have been the path of least resistance available to them: there's plenty of actual Cold Steel concept art to be found on the site, and I think it's a safe assumption that Falcom had sent XSEED even more to choose from. XSEED's ultimate choice strikes me as a really strange one, and it's why I asked the question. Why did XSEED, who could have used a map of eastern Erebonia where the games the site is supposed to advertise actually take place in, choose to take a map of a different country and go through the trouble of giving the toponyms an editing pass, when it wasn't a tease (and I agree that it wasn't a tease)? 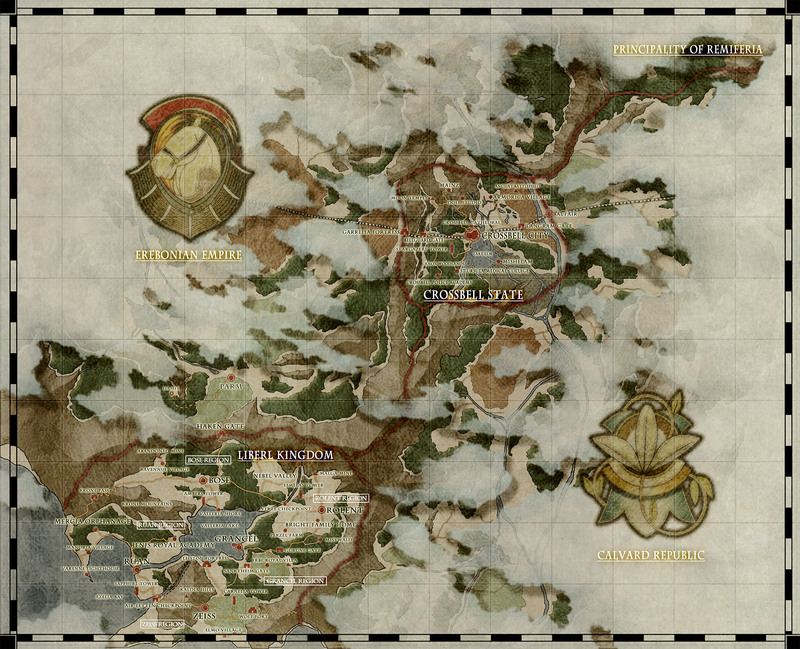 They originally used the map to accompany a list or noteworthy events in Zemuria, not just Erebonia. Also, because it's a nice (but sadly inaccurate) map. You mean they did a poor job with the localized names? Nothing sticks out to me, but then I don't have the advantage of understanding the original Japanese names. Thank you. You're right: the map can be seen in full at the Zemurian History section of the first CS' site, which predates August 2016. I guess XSEED chose to translate it because it was the best map showing multiple countries available to them at the time. Mystery solved. I meant the original map: Crossbell and Liberl are similar in size whereas later maps adjust Crossbell to a state smaller than the Rolent region. I wouldn't say that anything truly catastrophic happened to the series in 2018. XSEED released the PC version of CS II (with extra voice acting), patched even more voice acting, English and Japanese, into the PC versions of CS and CS II, and announced the PS4 versions of the games. You don't see major content additions like these every day, and I doubt that XSEED would go to these lengths if they were done with Trails. Brittany's sudden termination was shocking and highly unfortunate, but there are other editors who have prior experience with Trails that XSEED can potentially reach out to: Kris Knigge, who worked on CS and CS II, is a freelancer, and Jessica Chavez, the original Mama Kiseki, appears to be returning to localization editing in 2019 (tweet #1, tweet #2). Not to instill false hope, but what's this lads? Nihon Falcom: 2019 is the Trails series’ 15th anniversary. The Empire’s story ended in Trails of Cold Steel IV, but as a series there is still more to come. For the 15th anniversary, there may be unexpected development(s). I knew the mention of the anniversary in the Q4 2018 financial report wouldn't be for nothing. It's from Famitsu, so it should be hinting at something that would be relevant in the Japanese market (so, not an English localization). 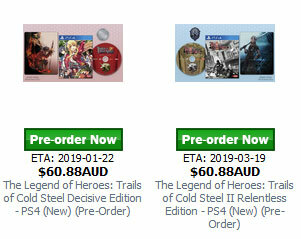 My expectation for the unexpected developments is PS4 and/or Switch ports from Chara Ani, XSEED, or another licensee (Falcom doesn't want to do internal ports anymore, and I doubt they have the manpower needed to release two new games in a single year). I'm not gonna go full "CROSSBELL, BOYS!" anymore, though. Each arc has something going for it. Liberl would make sense because the series' anniversary is Sky FC's anniversary. Crossbell would make sense because it hasn't been remastered for the longest time, has never been on a home console, starts the Phantasmal Blaze arc that concludes in Cold Steel, and has localization difficulties that a port would help alleviate. Cold Steel would make sense because it's the latest, shiniest arc, and a Switch port could expand its reach. Here's hoping Evo ports for the Switch! Did they even mention the Kiseki anniversary at the shareholder meeting at all? They didn't right? If they did more Evo ports, then it would never come over due to various licensing issues. So they might do something different or at least account for the West with any deals they do. Not necessarily. Cold Steel's Japanese voice tracks became available to XSEED after the PS4 ports, as far as we can tell. The Evo versions won't come to other platforms without new rounds of negotiation between Falcom and Chara Ani, and the terms may experience a similar change over their course. 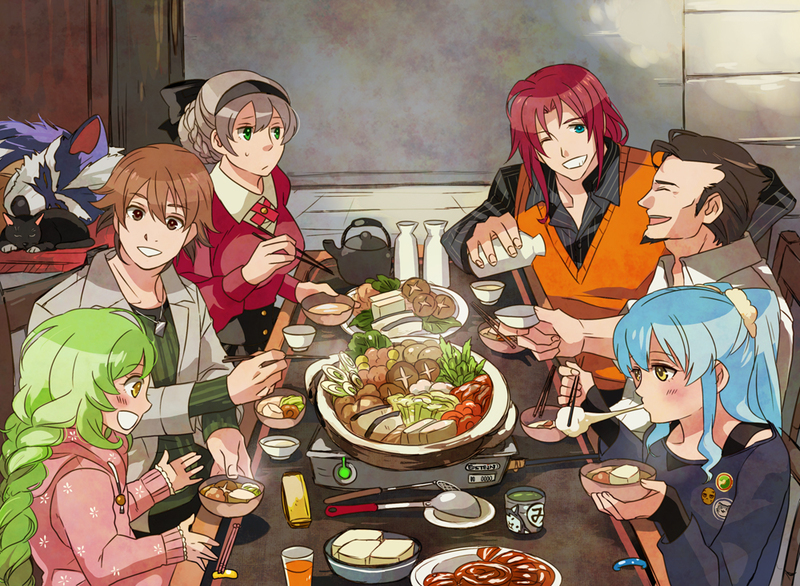 I hope they take feedback from Cold Steel to heart when developing the Calvard arc.